I am delighted that three adult volunteers from Northern Norwich District have been recognised by the Chief Scout, Bear Grylls in the 2018 St George’s Day Awards. 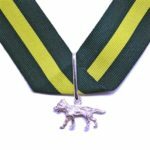 The Silver Wolf is the unrestricted gift of the Chief Scout and is only awarded in recognition of services to Scouting of the most exceptional nature. Graham has provided outstanding support, enthusiasm and service to Scouting and the community for many years in Group, District and County roles. 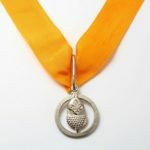 The Silver Acorn is awarded in recognition of specially distinguished service and appreciably better than outstanding. It is seldom awarded for less than 20 years service. Simon has given excellent service of the highest standard to Scouting for many years at Group, District and County. Stephen has worked tirelessly and enthusiastically for Scouting for many years in Group, District and County roles. Many congratulations to our friends in the District on their Awards and for everything they have done. We look forward to continuing to work together in scouting.